If a powerful midsize SUV is on your wish list, then the 2019 Toyota Highlander is worth a closer look. From the inside to the out, the 2019 Toyota Highlander is sophisticated with a generous array of premium features. On the road, the sporty SUV shows its true personality and unleashes quick acceleration and nimble handling. 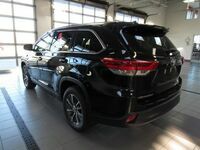 The 2019 Toyota Highlander also has impressive towing capability and is rated at 1,500-5,000 pounds depending on the setup under the hood. 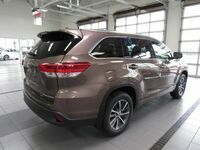 To highlight all the 2019 Toyota Highlander’s many abilities, we have paired it against the 2019 Subaru Ascent, another midsize SUV in its class. Here’s a closer look at the key differences between each model. Explore the new 2019 Highlander with a test drive at Le Mieux Toyota today! For the 2019 Subaru Ascent, its greatest strengths are in its spacious cabin and smooth driving experience. 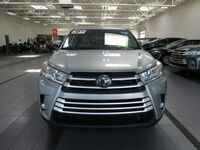 While the Ascent does boast more cargo and passenger space compared to the 2019 Highlander, it struggles to compete with the Toyota’s V6 engine. 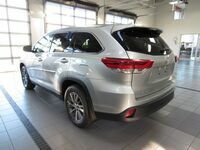 Not only is the 2019 Toyota Highlander equipped with a V6 more powerful than the Subaru Ascent, but it also comes with an extensive selection of standard driver assistance features. These premium technologies include forward collision detection with automatic emergency braking, a rearview camera, automatic high beams, adaptive cruise control, lane departure intervention and much more. 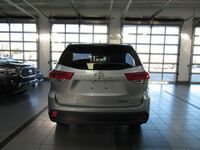 We invite you to see the sleek midsize SUV for yourself at Le Mieux Toyota. 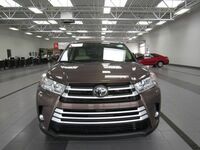 We have a great selection of new, used and certified pre-owned Toyota Highlander models to choose from and a helpful team of experts to help you along the way. Stop by and see us!